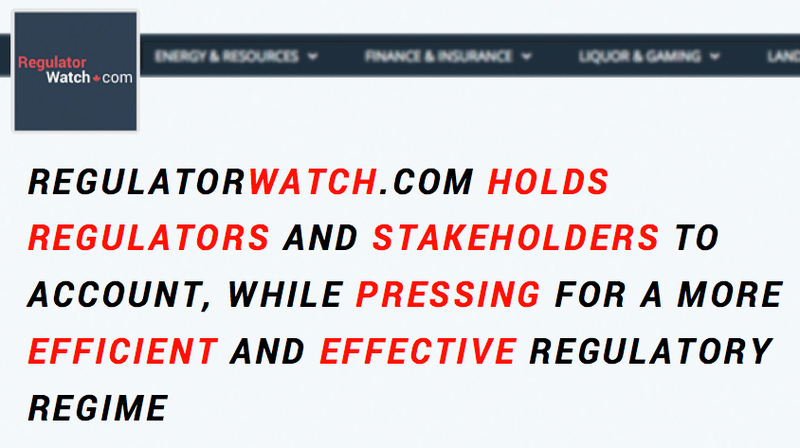 RegulatorWatch.com is your resource to stay on top of what regulators are doing and the issues and controversies driving public debate. Research legislation and the rulings issued by over 42 Canadian regulatory agencies and get involved in the process. Regulatory agencies have enormous power over every aspect of our professional & personal lives. Responsible for presiding over the laws passed by federal and provincial governments—regulators implement, manage and enforce the legislation that governs how Canadians do business, extract & commercialize natural resources, develop the land, how we work and how we spend our leisure time. By setting rules and issuing orders and enforcement decisions, Canadian regulatory bodies protect Canadians from inherent risks in the banking system, stock markets and insurance industry. They oversee our shared natural resources ensuring the environment is protected and consumers are respected as Canada’s oil, natural gas, minerals and hydro-electric power are captured and brought to market. Regulators set the policies and standards that govern the building of our homes, towns & cities. They maintain strict controls over the manufacture, distribution and consumption of beer, wine & liquor. And, they manage the way we game—from lotteries & scratch tickets to slot machines and the blackjack tables. Excessive regulation & bureaucratization creates major barriers to competitiveness & economic growth – regulators should regulate not participate! 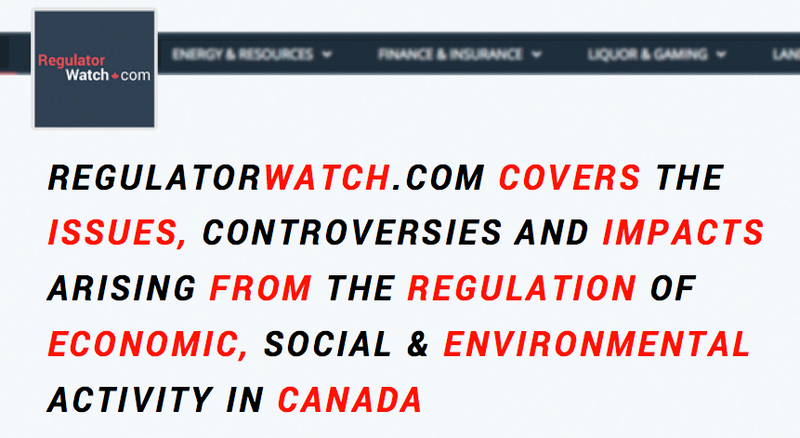 RegWatch strives to produce factual reports and opinion, which should not be misconstrued as unbiased. Cultural and economic forces frame all content and every story in the media is covered from a perspective and angle. RegWatch produces content with conviction. RegulatorWatch.com is a founder-funded start up with limited support from industry and other stakeholders impacted by the regulatory process in Canada. Become a supporter donate today!